Heres another of my cassette rescues: a compilation issued in South Africa in the early eighties that I taped off a friend. It contains two of my favourite Zimbabwean tunes from that time, namely Ishe Ndivdze by New Storm as well as Devera Ngwena's theme tune. This is a taster for African Serenades Vol 37 which is one its way to matsuli HQ as I type. 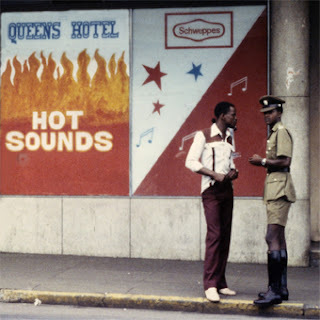 Photograph of Queens Hotel in Harare, legendary home of Zimbabwean music in the early 80s, taken by Tony H.
an amazing compilation, thanks for all your hard work. it's wonderful to visit this site. Thanks, I'm looking forward to the next Zimbabwean compilation. seems a good list of those times butiam not able to download this file,says has been moved can you upload again.